Ever since that first week working on the farm, I’ve been fielding questions about these critters that I spend so much of my time with. I guess its only natural that people are curious about them. Though they don’t seem strange to me, it isn’t like everyone has a llama in their backyard, let alone twenty-five of them. There are a lot of reasons that people keep llamas–they act as everything from wool producers, to herd guards for sheep and goats, to therapy animals–but there’s more to them than that. 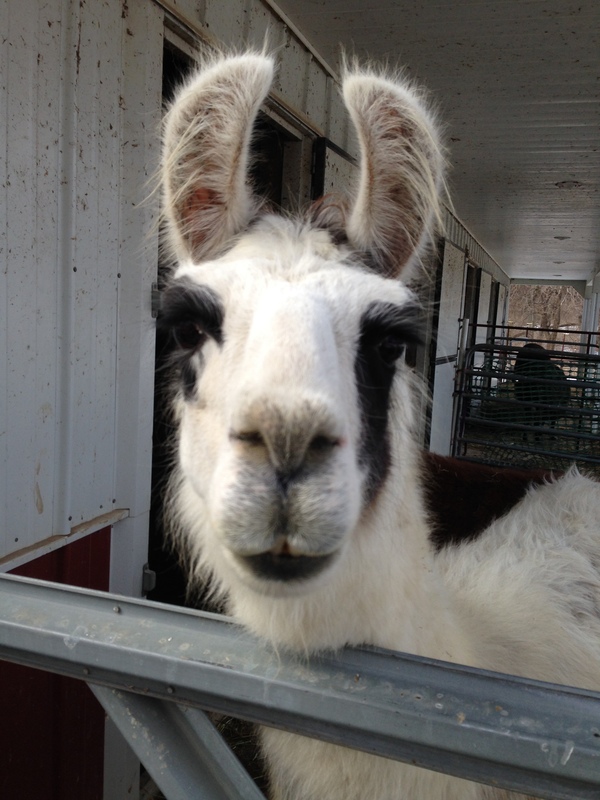 I love keeping llamas because they give me a peek into something bigger than myself. Scarecrows enjoys the hay I put out especially for him while the other boys eat from a big hay bale. See the little guy laying down in front? That’s Scarecrow. Scarecrow originally came to the farm from Kansas as part of a set of three geldings. L, his owner, named them Lion, Tinman, and Scarecrow. They weren’t overly young when I started working at the farm in 2001. At the time the above picture was taken (January of this year on one of the coldest days), he was the last of the original three still alive. We figured that this would be his last winter. Nearing twenty years old, he suffered from Alzheimer’s (yes, animals can get that) and some arthritis. Still, he was sweet as pie and a perennial favorite. We all knew we would miss him. For the past week, L and her husband, Jeremiah (my husband), and I have all known that the little guy was going downhill. We kept him comfortable, and I think he enjoyed his last few days, but what amazed all of us was that we weren’t the only ones keeping vigil. 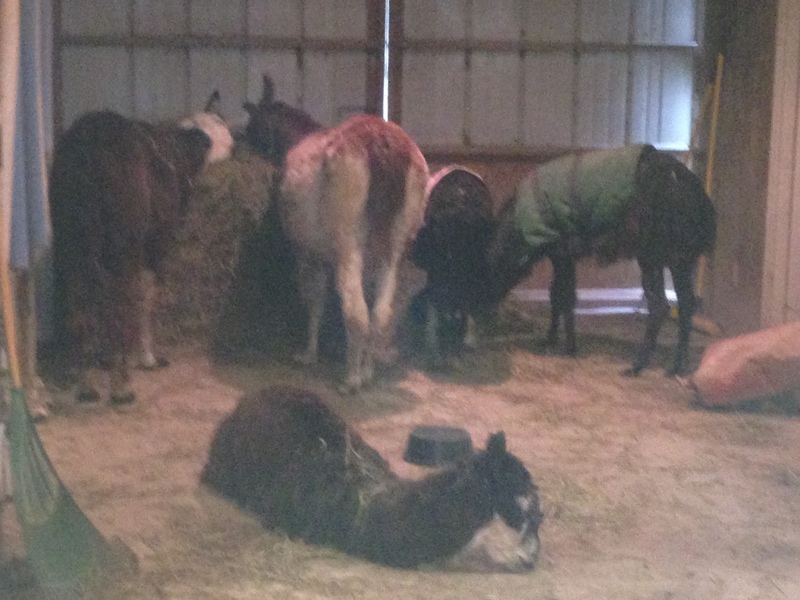 The other llamas and alpacas in his herd took turns cuddled up to him, staying with him for hours on end and in shifts. 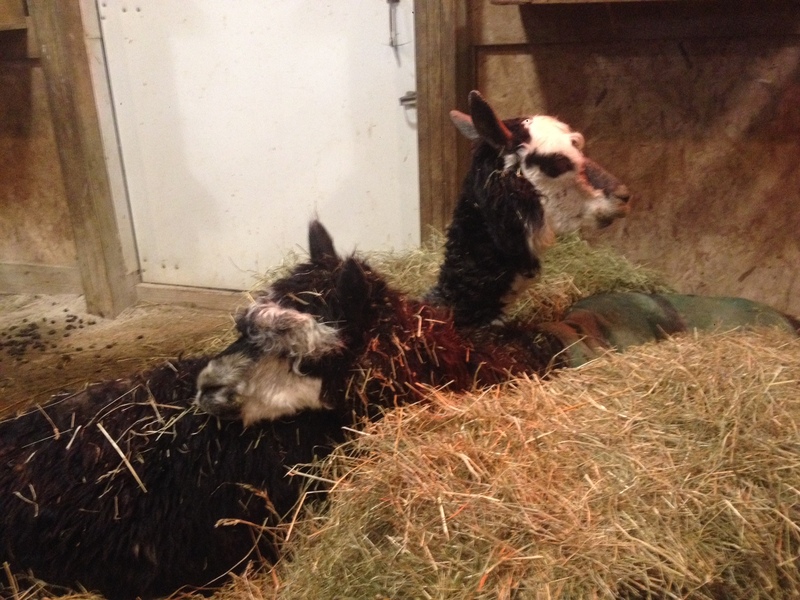 Midnight Idol, another alpaca, spent hours next to Scarecrow as he made his way across the rainbow bridge. They didn’t leave his side until he had passed on. And this is very “llama” behavior. They have deep relationships and friendships. They take care of each other. To my mind, I am really just an observer out here; I have had the privilege of watching how good and kind they are over and over again. Previous Overwhelming, wonderful insanity… Or, a move of a lifetime. So glad he had companionship and a safe place to journey on.